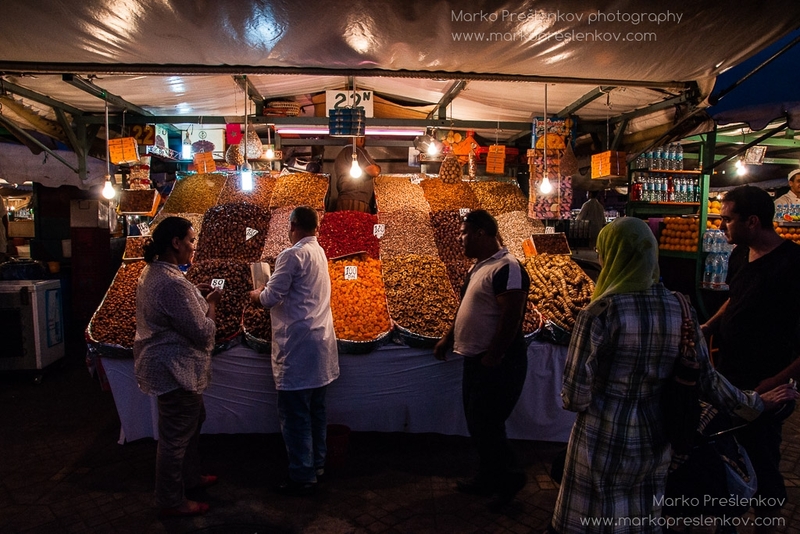 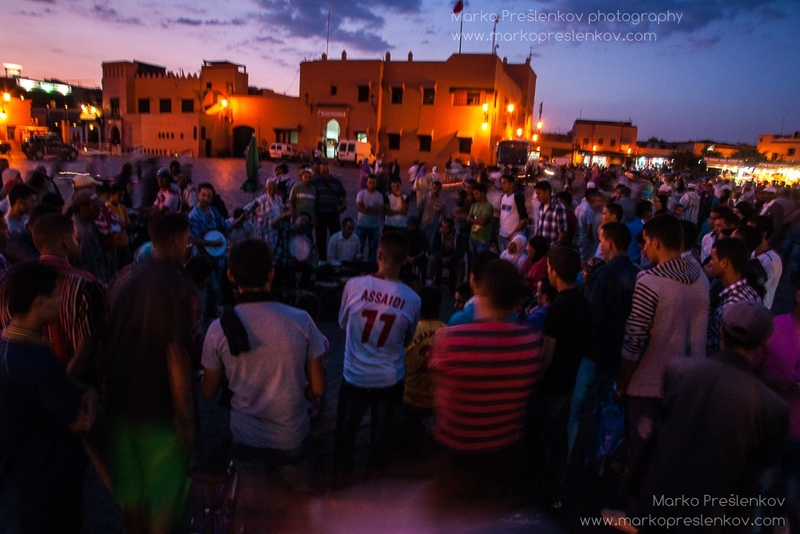 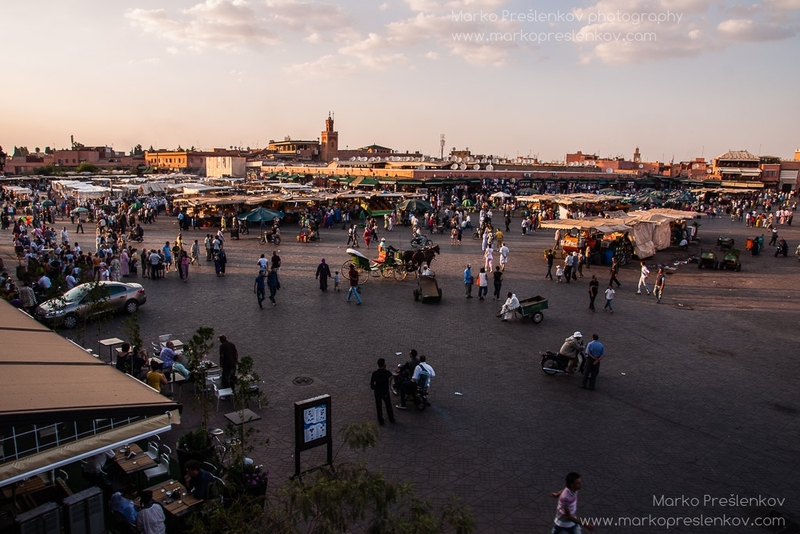 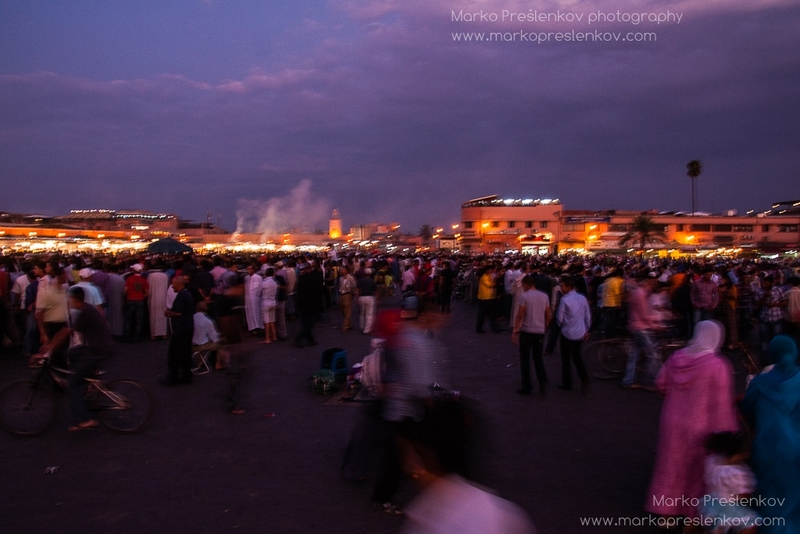 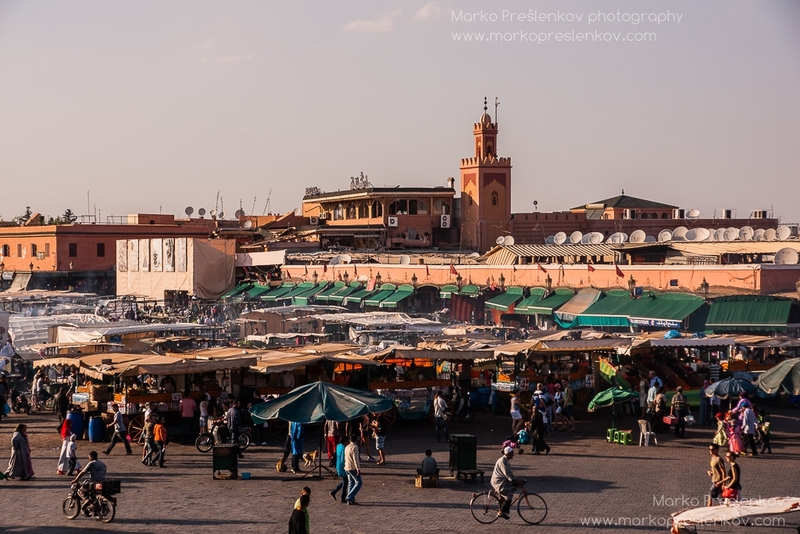 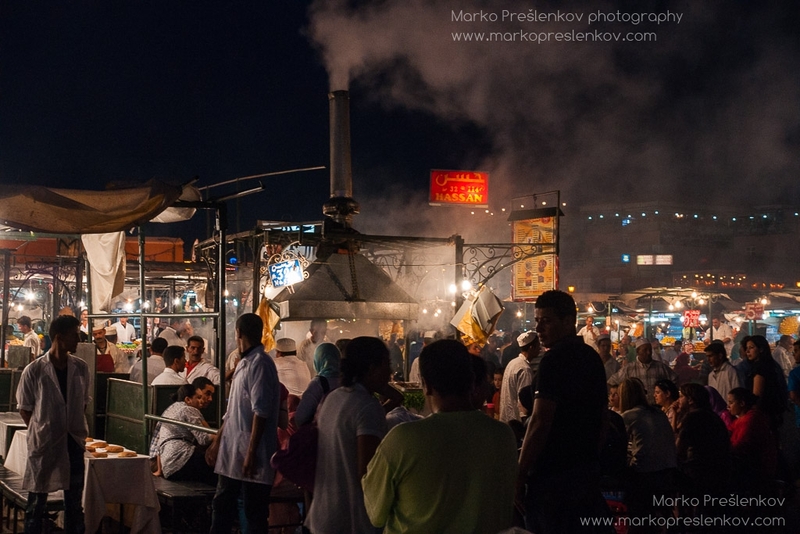 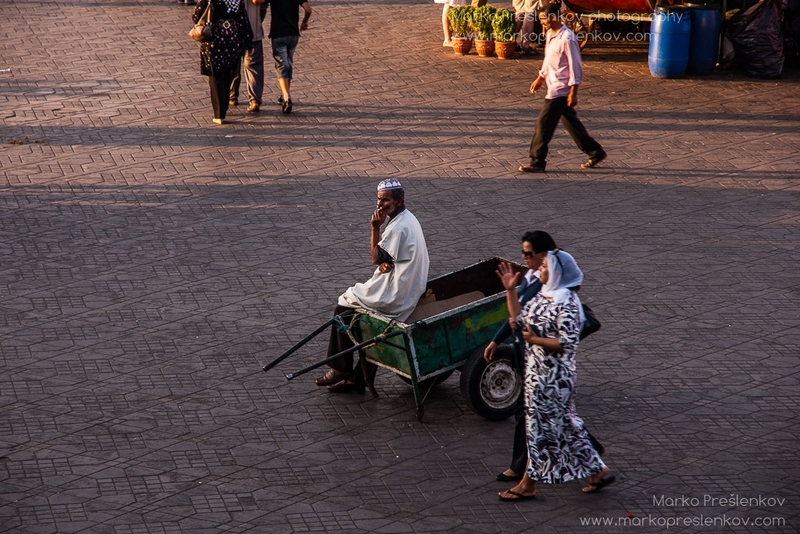 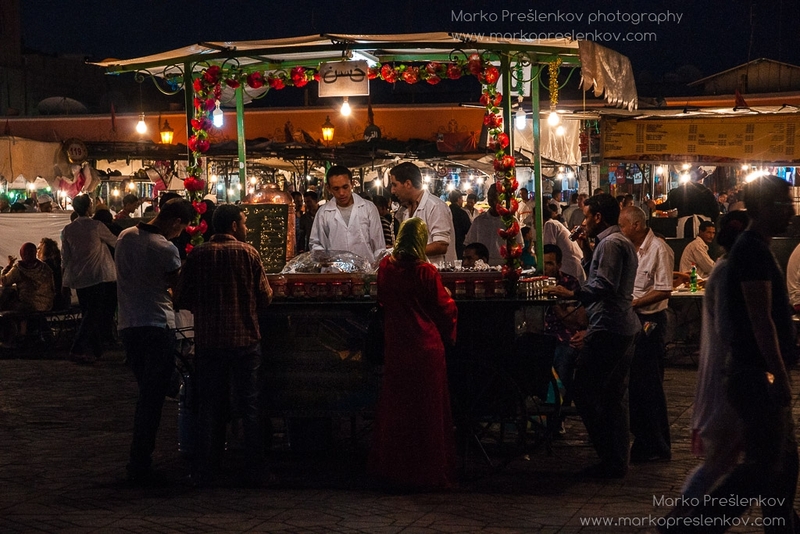 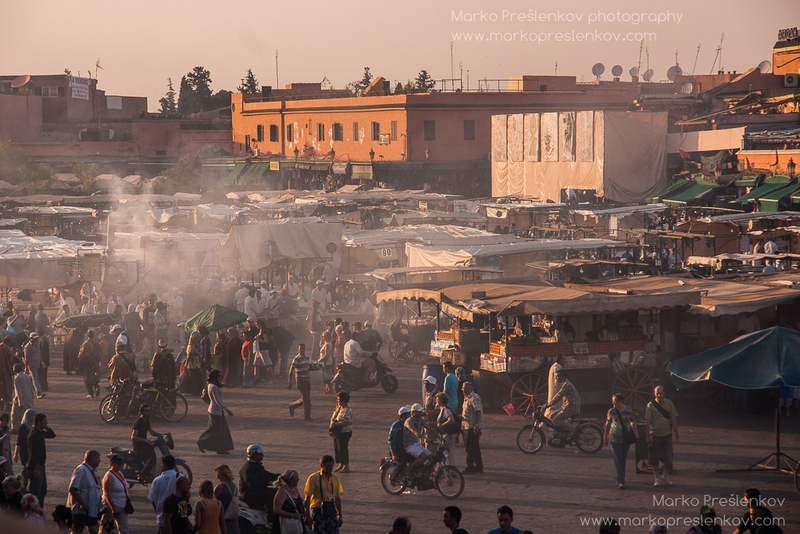 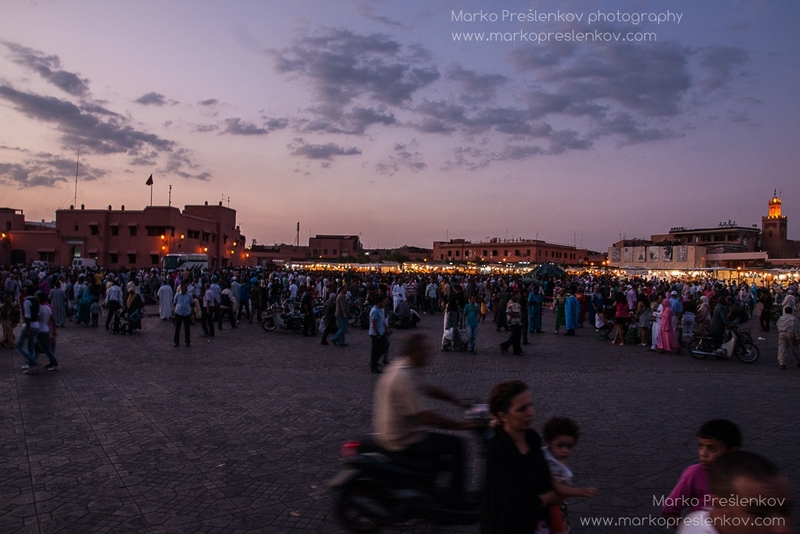 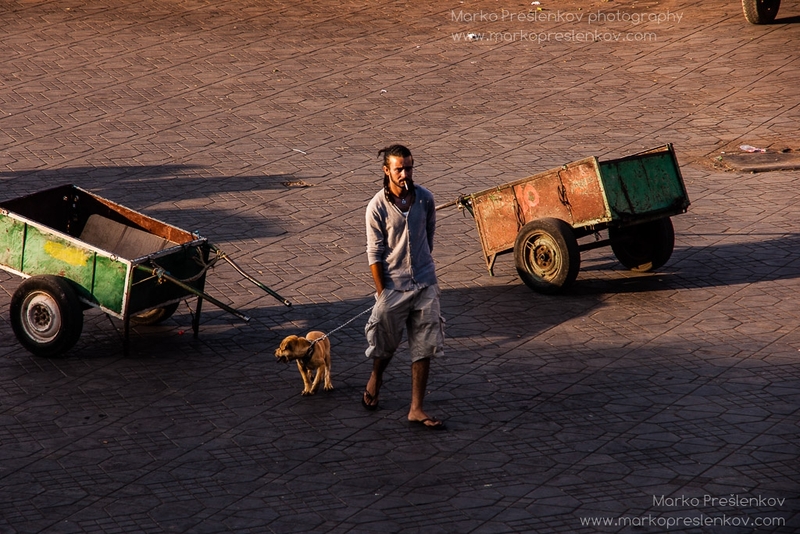 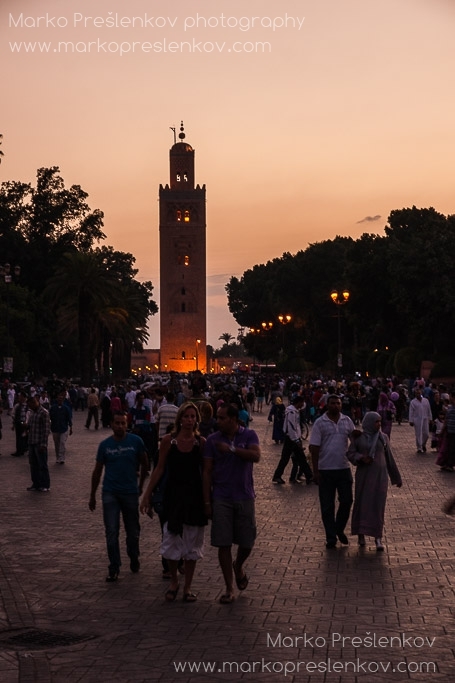 Djemaa el-Fnaa, Marrakesh’s main town square, is a magic place full of surprises, mysteries, transformations and life. 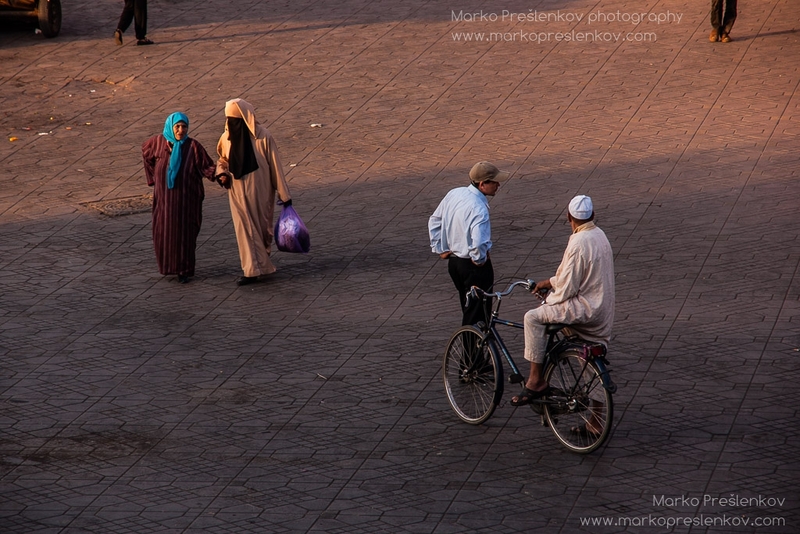 Springing to life in the morning and lasting well into wee hours (even longer during Ramadan!) 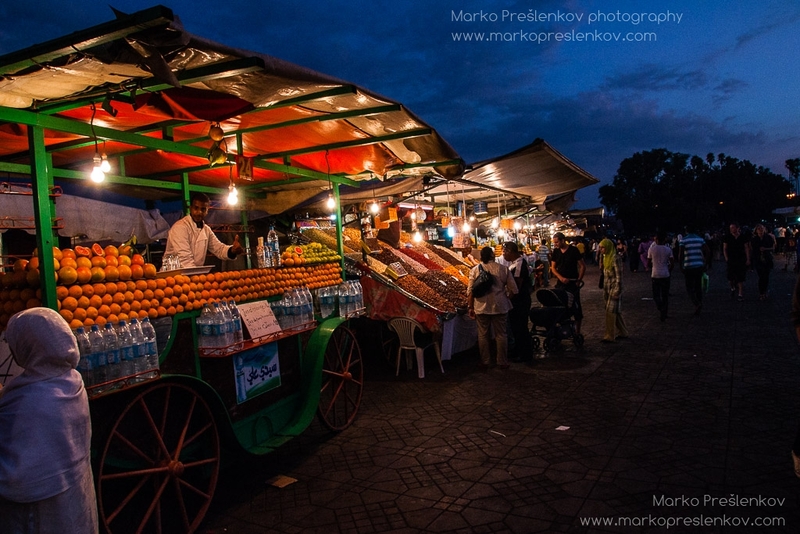 it is the place where hustlers share the space with orange-juice vendors, healers, henna tattoo artists, snake charmers and monkey tamers. 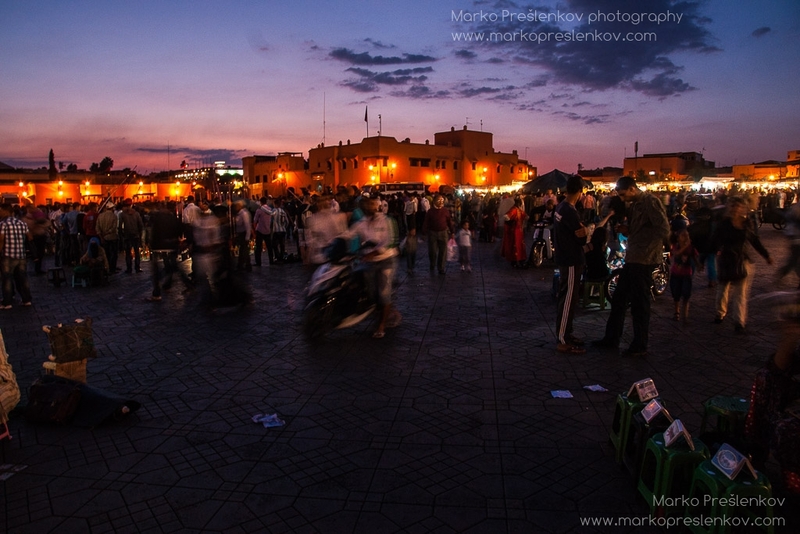 But when the sun starts setting down it goes through even greater transformation as it turns into a place of mass dinning with well over hundred of impromptu mobile barbecue places springing to life to feed the hungry crowds that keep flocking to this central square for acrobats with their stunts, musicians playing folk music, storytellers passing on their epic tales of past glories and of course to grab a bite of that tasty lamb meat. 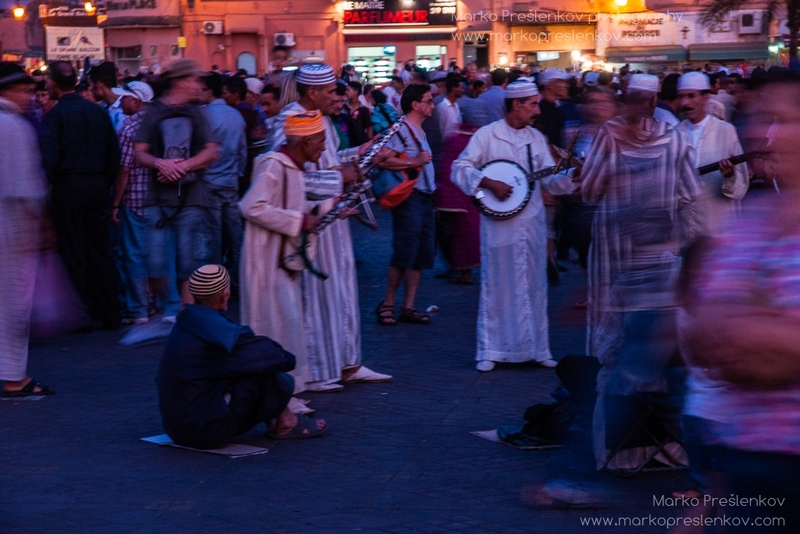 From Gnaoua drummers to male belly dancers to Berber musicians to astrologers Djemaa el-Fnaa in Marrakesh, Morocco has it all.